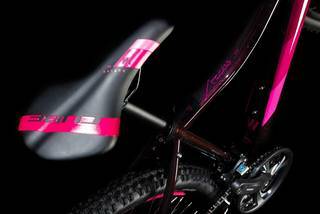 Looking for just the right blend of comfort and performance in a mountain bike? We know how you feel - and that's why we created the Access Exc. Starting with our Size Split system, we've ensured that every rider can find her perfect fit - so you can be assured of the best possible handling. 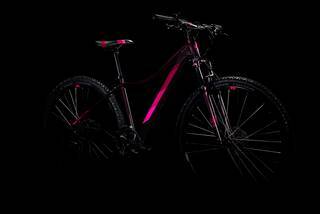 The smaller 13.5 and 16 inch sizes are available with 27.5in wheels, while the 17 and 19in frames roll on 29er wheels. 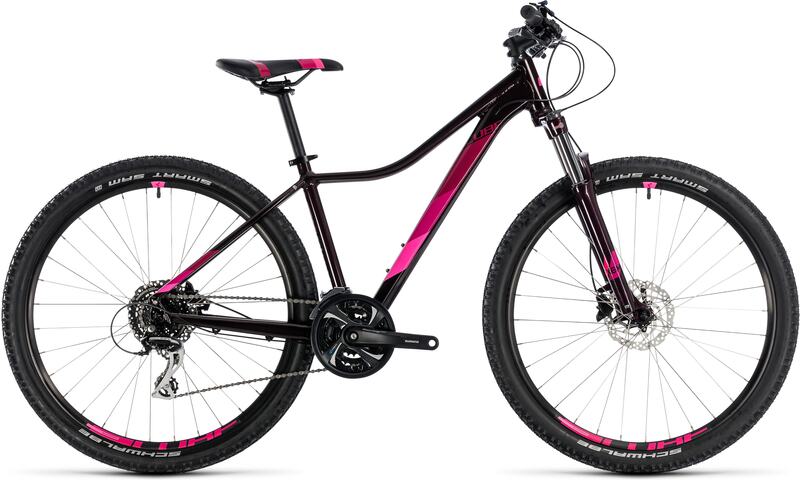 They're all equipped with the reassurance of weather-resistant hydraulic disc brakes, plus grippy and lightweight Schwalbe tyres and a saddle, handlebar, stem and grips tailored specially for women. Naturally, we've fitted a Suntour suspension fork for added comfort and control on even the roughest of trails, and Shimano's wide-ranging gears are reliable and easy to use. Pick the size that fits you best and you're alll set for off-road adventures, wherever they take you. 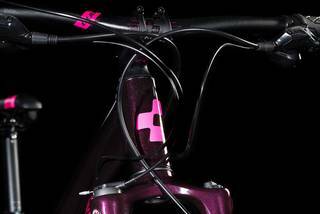 CUBE's engineering team has a straightforward set of goals with our frames: great handling, great fit, great performance. The Access Exc's 6061 aluminium chassis uses complex, mechanically formed tubes to save weight without sacrificing efficiency, so your efforts on the pedals will always be rewarded. 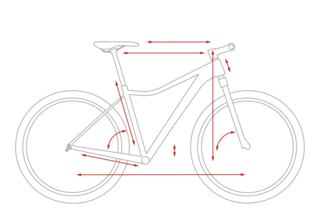 The short, lowered top tube and our proprietary compact Agile Ride Geometry (ARG) work together to create a ride position that's perfectly tuned for the keen rider: well-balanced, agile and confidence-inspiring. 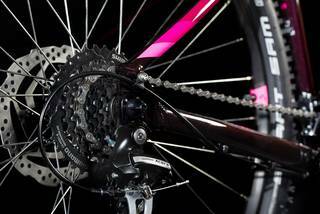 And the attention to detail is exactly what you'd expect of CUBE, with internally routed cables and a neat disc mount for the rear brake that tucks it out of the way between seat and chainstays. We've even made it easy to attach a kickstand and luggage rack, for even great versatility.